I’ve been reading blogs for over 2 years now. That’s not very much time, but enough to really appreciate the conversation that is the “blogosphere.” I’m only now realizing that because of my time invested in reading blogs, I’m not getting to read the books that normally I’m able to enjoy. Additionally, since I started working at Microsoft as a teenager, I’ve never finished my college degree. Now it’s time to focus in earnest on completing that bit of my education. (Sidenote: If you have any tips for attending college and working full-time, send ’em my way!) So, in order to make more time in my life, I’m going to unsubscribe from many of my favorite blogs, not because of the content quality, but simply because for this next season in my life, I can’t afford that luxury. Someone I trust points me to a new blog or blog post. I read the post and then skim the rest of the current posts, if most of the posts look insightful, I subscribe. If the author posts multiple times each day, I’ll often unsubscribe, unless the posts are very short and very interesting. This kind of rapid fire posting might be good for traffic, but the randomization doesn’t help me focus or think deeply about the topic at hand. Generally, I tend toward long form posts, rather than short pithy stuff. Not that I don’t enjoy cleverness, it’s just that from my experience most worthwhile topics can’t be reduced to a simple sound bite without severe data loss. There’s always a risk that an author will have a few brilliant posts and then degrade into less meaningful writing. When I see this happen, I unsubscribe. 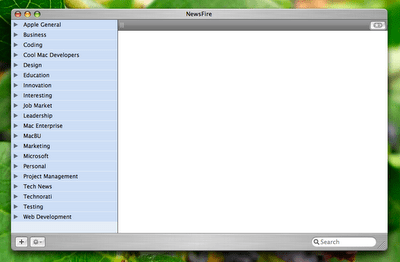 I use NewsFire to read blogs. It’s simple, small and stays out of my way. In NewsFire I have a set of blogs in my “Interesting” group. This is my holding bin, the place where I put new blogs I’ve encountered, but are currently “on trial” to see if they graduate to a final resting place as one of my standard blogs. My typical pattern is to skim posts in NewsFire to see what I want to take time to read and fully digest the ideas. If I do, I open the post as a new tab in Safari. 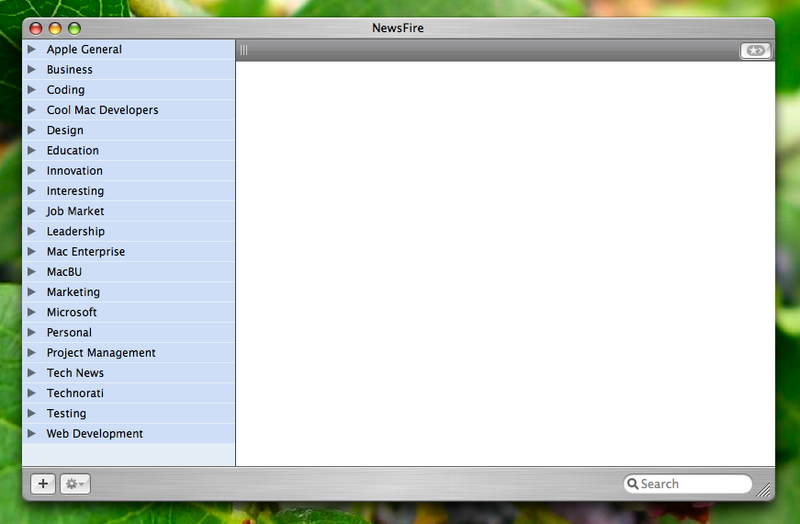 When I’m done, I close NewsFire and process the remaining pages open in Safari. Out of curiosity, where did the title of this post come from? I hope you keep reading mine. Dadhttp://trustthechildren.blogspot.comPS. I don’t know where David got the title, but there was a series of books published and used at BYU by that title. A group of professors combined to add pieces of great literature and commentary on them. I really enjoyed them.